Posche Bangkok Studios are located 1 minute walking from Yaek Tiwanon MRT Station (Purple Line) at Bangkok-Nonthaburi Road (Krungtepnon), Soi 7, Skyway Mansion Building, ground floor. 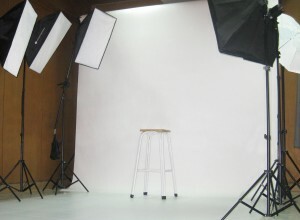 STUDIO 1: The photo shooting area is 12ft x 26ft. 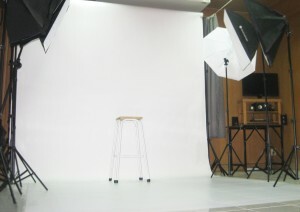 STUDIO 2: The photo shooting area is 12ft x 21ft. RECEPTION: The outside of the Studio waiting area is very spacious at 200sm, with plenty of seating and fresh outside air view. Great for studio resting, or project castings. MAKE UP AREA: (1) Make Up Station is located in Studio 1, and (2) Make Up Stations are located in Studio 2. 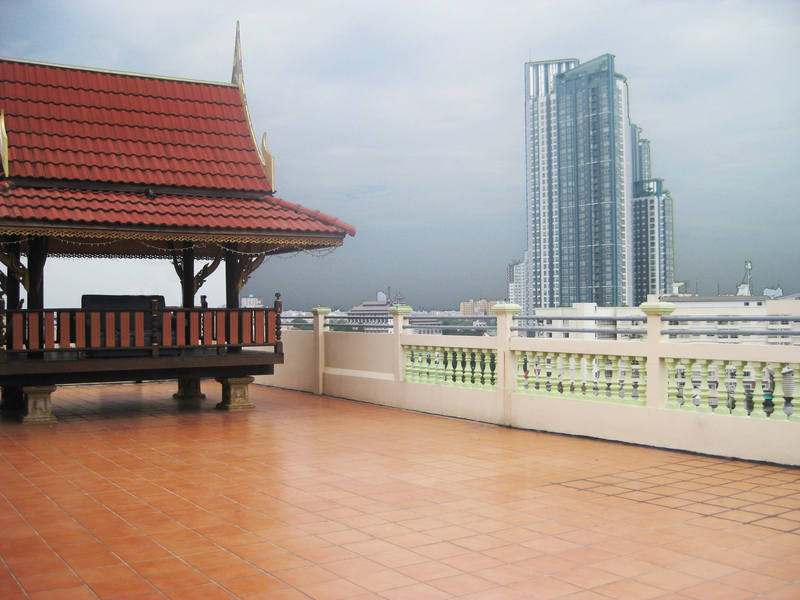 ROOF TOP: Floor Tiled rooftop terrace area has 2 separate levels, with the main level at 60ft x 25ft. EQUIPMENT: The photo studios supply (4) Photography Strobe Lights, (4) Soft Box Light Sets, (2) Extendable Boom Soft Box Light Sets. (10) Lights in total. White Photography umbrella is also available. The Backdrops are 9ft x 9ft White Seamless paper, or 8ft cloth available in black or white. 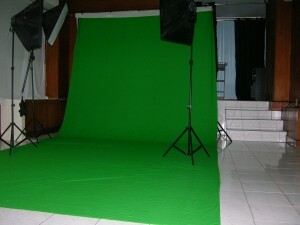 Video/Green 10ft x 20ft Backdrop is also available. White vinyl flooring extends out 8 feet, and Navy Blue carpeting also is available. HOURLY RATE: Weekday Rate is 700THB hourly. Weekend Rate is 850THB hourly. Minimum hours is 3 hours. Half day rates and Full day rates are negotiable.